Photographer Travis Gauthier is a native of Lafayette, LA, Travis is a graduate of The Art Institute of Houston where he earned an Associate of Applied Science in Photography. With over twenty-five years experience in several different photographic arenas; from photojournalism, to retouching and lab work, to the portrait and wedding industry, Travis has made photography his lifelong chosen career. Travis enjoys cycling, vinyl record collecting, current events, pop culture, and cinema. 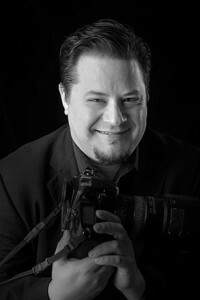 2010 – President of The Acadiana Professional Photographer’s Guild.